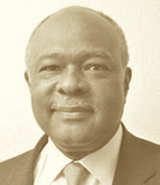 Mr. VanPercy is Director-General of the Ghana National Communications Authority. Prior to this, he worked as an Investment Banker for over twenty years. 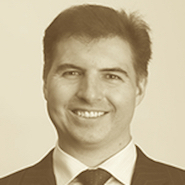 He is a Chartered Accountant by training and is a Fellow of the Institute of Chartered Accountants in England & Wales. 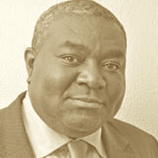 He is the Chairman of CAL Asset Management Company Limited and holds directorships on the Boards of the Liberia Bank for Development and Investment, Afri Invest Management Company Limited, and Afri Holdings Limited. Mr. Frank B. Adu Jnr. Mr. Frank Adu Jnr. is an Investment Banker and the Managing Director of the Bank. He is Chairman of The Roman Ridge School and Golden Beach Hotels Group of Ghana. He is a council member for University college of Agriculture and Environments and board member of Metropolitan Life Insurance Company, University of Ghana College of Humanities Advisory Board and Board of Governors of PRESEC, Legon. 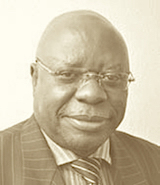 Mr. Owiredu is the Executive Director of CAL Bank. Prior to this, he was the Director of the Bank’s Financial Control Department, which is responsible for all financial and management accounting support and compliance with legal and regulatory requirements. 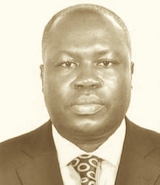 Mr. Owiredu joined the Bank in December 2004 from KPMG where he was Senior Manager after eight years. He is a fellow of the Association of Chartered Certified Accountants (UK). He is a member of the Ghana Stock Exchange Council. 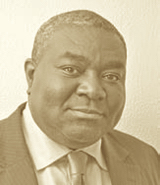 Mr. Brenner is the President and CEO of Broad Cove Partners, a Director of Eco- homes Liberia Inc. and is a member and founding Chairman of the Board of the Overseas Vote Foundation. SDr. 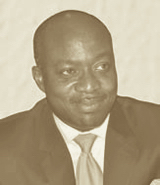 Kobina Quansah, a banker by profession, is the Chairman of Vodafone Ghana and Core Nett Limited. 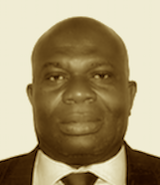 He is a director of Newmont Ghana Gold Limited and Pioneer Aluminium Kitchenware Limited. 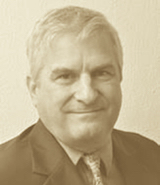 Mr. Pryor has worked as an Investment Banker for thirty-four years. He began his career as an Institu-tional Fixed Income Salesman with Goldman Sachs & Co. He was Chief Executive Officer of Pryor, Counts & Co., Inc for twenty- four years. For the past four years he was Chief Executive of a Private Equity Fund in-vesting in the Southern Africa region (SAEDF).He has been a principal investor in Western and Central Af- rica since 1987 principally in the financial services sec-tor; as a founding shareholder of CAL Bank. Mr. Addo currently has oversight responsibility over the Investments and Development portfolio of the Social Security and National Insurance Trust (SSNIT) as a General Manager. 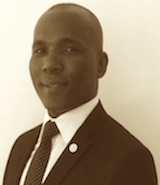 Mr. Addo is an investment Banker with over fifteen years experience. He is an economist and a Chartered Accountant. Prior to his appointment to SSNIT, he served as executive director SAS Finance Group, Head of treasury University of Ghana, Legon and Deputy General Manager HFC Investments. 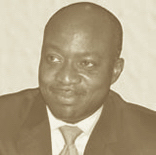 He is the Chairman of Kumasi Abattoir Limited and holds directorship on the board of Trust Hospital Limited. Mr. Alor is a Senior Investment Analyst of Social Security and National Insurance Trust (SSNIT). He has been with SSNIT since 1998 when he joined as Compliance officer and as an Assistant to General Manager Operations . He is the Board Chairman of Golden Web and also a member of the Board of Trustees of SSNIT Staff Second Tier Pension Scheme. On behalf of the Board of Directors, I am delighted to report another year of impressive performance by the Bank. The performance of 2014 has positioned your Bank as a well consolidated bank with a strong balance sheet and a balanced risk profile. Management and Staff, with support of the Board, identified profitable and growth opportunities despite the challenging local economy to ensure that CAL Bank remained ahead of the competition of peer Banks. It is therefore worth noting that your Bank today stands on a firm foundation that reflects the positive development of its underlying business and the strict adherence to its business strategy. The domestic economy went through challenging times that saw the worsening of some economic indicators which posed significant risks to businesses and individuals. This notwithstanding, the local economy is expected to record a real GDP growth of 4.2%. The Cedi continued to experience some challenges and depreciated by 32.5% against the US Dollar in 2014 compared to 14.6% in 2013. Export receipts from gold and cocoa, as well as individual remittances declined by $1.3 billion during the year. Inflation at the end of December 2014 was estimated at 17.0%, this being significantly higher than the previous year’s rate of 13.5%. Interest rates continued to increase during the year under review with the benchmark 91 – Day Treasury bill rate closing the year at 25.8%, compared to 19.5% the previous year. To cope with these challenges, your Bank took pragmatic business steps in studying and analysing both the external environment and local economy to fashion out relevant and necessary strategies which were progressive and future-oriented with the clear view of enhancing our success story. CAL Bank will strive for growth by strengthening our market intelligence, deepening existing relationships with our valued customers as well as developing new ones, enhancing our risk management capabilities, and being innovative through our product and service provision. Despite the magnitude and nature of challenges faced during the year, your Bank recorded a profit after tax of GH¢140.4 million and GH¢143.2 million by the Group. This represents an increase of 52.6% and 52.9% by the Bank and the Group respectively over the 2013 performance. These results were achieved through efficient deployment of our resources, and investing in systems to ensure we operate effectively and in a very efficient manner, the continued quality of our service offering and the introduction of innovative products and services. The Bank also made positive strides in increasing its deposits over the period on the back of additional branches it opened in 2014. These contributed to ensuring that total assets increased to GH¢2.71 billion and GH¢2.72 billion for the Bank and the Group respectively. These represent growth of 73.7% for the Bank and 73.6% for the Group. It is our clear intention to enforce strong risk management best practices to achieve higher quality assets and also drive operational efficiency through process automation to ensure our continuous growth and profitability. The good results, strong balance sheet with diversified risks, coupled with high efficiency and cost controls, reflected in the Bank’s share price closing the year at GH¢1.01, an increase of 4.1% from GH¢0.97. We expect this trend to continue into the years ahead. The Board is pleased to recommend a dividend per share of GH¢0.081 amounting to a total pay-out of GH¢44.41 million. This is a clear demonstration of our commitment to delivering superior returns to our valued shareholders. Thus, a good part of the profit is set aside for shareholders as a deserving return on your investment in the Bank. The demands made on Bank Boards have increased over the years, which make active and constructive corporate governance necessary. Establishing clear goals, strategies, values and good risk controls have been and remain the Board’s duty and responsibility, together with the Bank’s management team. The CAL Board Charter continues to provide a clear framework for Directors to execute our duties and also serve as a benchmark in evaluating our performance in accordance with best practice. Your Board is committed to ensuring enforcement of the highest levels of compliance standards within the Group in line with global best practices. During the period under review, Ms. Leonora Agyarko and Mr. Ernest Thompson resigned from the Board. Please join the Board in thanking them for their invaluable contribution to the Bank’s prospects. We wish them the best in their future endeavours. The year 2015 marks the last year of the Bank’s 3-year strategic plan which started in 2013, and it is already evident that 2015 will be a challenging year taking cognisance of the current global and local economic outlook, coupled with the energy crisis that the country is currently facing. We are however optimistic that your Bank will sail through these challenging times by taking advantage of opportunities in the market, continue with our strategic objectives as outlined in our strategy document which have been re-aligned to take cognisance of the current operating environment. Our focus will remain maintaining the health of our balance sheet and sustaining the future growth of your Bank. I will conclude by expressing the Board’s appreciation and gratitude to all stakeholders who have been relentless in your support and encouragement for us in our twenty five year journey as a Bank. Our exceptional gratitude goes to our valued customers for their unwavering confidence, feedback and candour which has helped shape our growth, our founding shareholders and current shareholders who have placed your trust and confidence in us. My appreciation also goes to all the past Directors and staff of the Bank who have in one way or the other been part of the success story of this Bank. Last but not the least I wish to thank my fellow Directors, the Management team and Staff for another excellent performance in 2014, as in recent years. 2015 also marks our 25th anniversary as a Bank. We have worked together with you the shareholders to build this esteemed institution and we look forward to sustaining this performance in the coming years. I thank you all and wish us all the best for 2015. It is my pleasure to report that our Bank has once again delivered a strong performance despite challenging economic conditions. Our performance is a clear indication of the strength and resilience of the Group resulting from the progress we have made in the past years. Our performance was driven by our continued focus on our 3 year strategy for which the year under review formed the second year of implementation. We focused on some key strategic areas including; diversifying our business portfolio, introducing innovative products and services, enhancing delivery channels, employing an effective risk management tool kit and process automation to achieve cost efficiency. The global economic recovery looked better in 2014 with the United States driving this recovery. Britain saw an increase in the pace of its recovery, the Euro zone however experienced weak growth. Growth in China saw a moderate slow down whilst growth in Brazil stayed subdued. The growth in Sub-Saharan Africa on the other hand continued at a faster pace, driven by sustained infrastructure investment and a vibrant services sector. Locally the Cedi saw a significant depreciation against the major trading currencies; 32.5% against the US dollar, 28.4% against the British pound and 23.1% against the Euro. Interest rates also increased during the year with the benchmark 91 – Day Treasury bill rate closing the year at 25.8% as compared to a rate of 19.5% prior year. The policy rate also increased from 16% in 2013 to 21% in 2014. These increases in rates resulted in increases in both lending and borrowing rates in the industry. The Bank of Ghana also reduced the primary reserve ratio by a 100 basis points to 10% which translated into additional liquidity for investment by banks. In spite of the challenges above, CAL Bank was able to identify opportunities and mitigate the threats to ensure the Group delivered good results and continue to increase its financial strength in the industry. We remain confident that 2015 holds further opportunities for our growth and performance. In the year under review, our bank continued to execute its strategy. I am happy to report that in spite of the macroeconomic challenges CAL Bank continues to deliver strong growth with a profit before tax of GH¢194.4 million compared to GH¢125.4 million the previous year. The Group also recorded a profit before tax of GH¢198.5 million compared to GH¢127.6 million the previous year. The Bank’s profit after tax increased by 52.6% and that of the ￼Group by 53.0%, GH¢140.4 million and GH¢143.2 million respectively. These results reflect our commitment to the disciplined application of our strategy to ensure we become a first tier bank. The Group’s total assets grew by 74.4% during the year to close at GH¢2.72 billion, up from GH¢1.57 billion. The total assets of the Bank increased by 73.7% from GH¢1.56 billion to GH¢2.71 billion. The growth in Group assets was mainly funded by a 68.7% increase in customer deposits to close at GH¢1.35 billion, up from GH¢799.22 million and borrowings and shareholders’ funds which increased by 116.2% and 39.2% respectively. We will continue to strengthen our business by ensuring that we listen to our customers and potential clients, and connect them to the financial solutions they need across the Group. Although we realised an improvement in our non-performing loans ratio from 7.9% in the previous year to 6.2% we are still keen on improving this further. During the year there were specific credits which were showing signs of deterioration and therefore we had to take the prudent measure of recognizing the challenges in those credits whilst we fervently pursued recovery. >We maintained a relatively high capital adequacy ratio of 22.5% and 22.2% for the Group and the Bank respectively, well above the regulatory requirement of 10% as a direct result of our subordinated term debt which is allowed as capital for capital adequacy purposes, providing an ample buffer against any eventuality. During the year we were successful in sourcing additional funding including the subordinated term debt of USD28.5 million from Proparco and USD40 million from OPIC/Citibank to support our medium and long term lending. We contracted borrowings totalling USD116 million for our short term funding needs which were employed to enhance our business. The increase in the support from the international market demonstrates the confidence of the international community in our brand whilst at the same time boosting our liquidity for our continued growth. We are making progress with the expansion of our service delivery channels adding new branches in Osu, East Legon and Tema Community 25 to offer convenience to our customers and also aid in our quest to attract more and cheaper deposits. Two of our branches, Weija and Asafo were relocated to bigger business offices to accommodate the customer traffic in those branches. Additional branches are being developed to attain our foot print objective of thirty branches by the end of 2015. Our ATM roll out programme continued ending the year with 95 ATM’s installed with 85 in operation at our various business offices and carefully selected off-site locations. The CAL internet banking service platform was refreshed and enhanced with added features to offer customers a platform which is ahead of the competition that allows them to access our services remotely. We continue to make significant investments in technology which has contributed significantly in achieving operational efficiency as evidenced by a reduction in our cost to income ratio in spite of our expanded operations. CAL Bank continues to strengthen its business model through innovation, enhanced use of technology and automation for a better customer experience. We are revamping our retail and business banking operations by expanding the scope of our e-banking offering. We are increasing the scope of our card offering and are in the final stages of our project work on our Master Card platform and point of sale services. We are working on expanding our footprint through agencies and have acquired the requisite human capital to ensure successful implementation. We invested significantly in our human resources through a variety of training initiatives, this has ensured that competent and professional individuals continue to serve our clientele at all times. The continued development of our people will be our focus as clients are at the centre of everything we do and only through adequate staff development will we be able to render a superior service for the benefit of our valued customers. We commenced the development of our head office project in October 2014, it is a 22 month project expected to be completed in August 2016. Upon completion it will offer us more latitude and presence; further deepening the Bank’s image and brand. The new head office should also provide an enhanced ambience for our staff and clients for the provision of better service. Over the years CAL Bank has prided itself in the continued support to the less privileged in society and our long-standing tradition of helping the communities in the areas where we operate. Educational support to give hope to needy children from primary through to the tertiary level still remained dear to us. As part of our continued support to develop beach soccer in Ghana, we sponsored the national beach soccer team to participate in the Copa Lagos tournament during the year. CAL Bank still remains the title sponsor of the National Beach Soccer Championship in Ghana. In our contribution to “green Ghana”, we collaborated with the Department of Parks and Gardens to plant over six thousand trees in Accra, Kumasi and Takoradi, the cities we operate in. These trees are meant to withstand both the dry and wet weather conditions and our staff are indeed proud to have been part of this great effort. This initiative emphasises the importance we place on delivering a balance between economic growth, social wellbeing and the protection of the environment in support of the goal of sustainable development. The Group worked effectively together to ensure that synergies are maximised. CAL Brokers Limited and CAL Asset Management Company Limited contributed 1.9% of the Group’s after tax profit, a value of GH¢2.8 million. This growth clearly shows that our subsidiaries continue to be part of the market leaders in their respective markets. Funds under management by the Group increased to GH¢298.0 million, up from GH¢142.9 million the previous year. Our custody offering being managed through CAL Nominees Limited continued to gain market share by increasing its client base from 23 at the end of 2013 to 30 at end of the review period. The outlook for the custody business still remains positive and we will work to deliver superior service to our existing clients and attract new customers. Despite the difficult prevailing market conditions, we are committed to the disciplined implementation of our strategy, identifying emerging growth opportunities, managing the inherent risk associated with our businesses and improving our operational efficiencies for continued profitability and sustained growth. As we execute the final year of our three year strategy that has been very successful, we will develop our next growth strategic plan which will have as its pivot excellent delivering of service to our clients and returning value to our stakeholders. We are mindful of the pitfalls and difficulties of our environment. The difficult economic situation, extremely high energy costs but also unreliable, high interest rates, a depreciating currency and recently the threat posed to digital and e-banking by cyber-crime. In this regard even as we fashion strategies to improve shareholder value, we also formulate strategies, methods and tactics to deal with the pitfalls and difficulties of the time. Subscribe to receive alerts of announcements, reports, dates and events.